I had completed my first year of college and decided that I needed to take my life in a different direction. I worked for radio station KBSF in Springhill LA after completing my First Class Radiotelephone License requirements with a broadcast endorsement in the summer of 1969. I served as A combo DJ/Station Engineer/Salesman during that short tenure. Sometime later that fall I scored high on the first National Lottery of the Draft. I decided around January 1970 that I needed to take the leap and try to pick which military outfit that I would join. Had a friend serving in the US Marshall Service in Dallas that advised he knew the recruiters in Dallas for the U.S. Coast Guard and felt this would be a good move for me. I visited the Recruiter and scored high on the testing and was enroute to Alameda for Recruit Training in the middle of March 1970 for what would turn into a 22 year career, with a brief civilian stint from 1974-76 and a return to the Coast Guard until my retirement in November of 1993. I was in the Coast Guard for a total of 22 years: 20 years active and 2 years inactive reserve. I went straight from Boot Camp to Radioman “A” School when it was located in Governors Island New York. I did my complete tour of duty as a Radioman and have never regretted picking that career path. 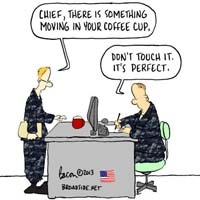 I think the last three years of my service was the most challenging. I served as the RMIC/Senior Enlisted Advisor/ and as a Duty Officer both on shore and underway as Law Enforcement duty Officer on board multiple Naval Units including such platforms as the USS Wasp. It was a great duty adventure, many drugs captured and lots of bad guys put away. Port calls all over the Caribbean, the Canal zone and south eastern pacific. I made many new Coasties and Navy friends during this time. All good things come to an end had to retire due to family responsibilities in Texas, but will always remember my Coast Guard Career. I did not participate in combat operations however I did receive hazardous duty pay due to areas I served in while with COMCARIBRON. I believe my favorite assignment was as an Instructor at USCG TRACEN Petaluma, California. I started as an Instructor and after a year made Chief and became the Code Department Head. Later I went to Procedure Department Head. Many friendships developed and remembered from here will always remember this unit. I think my entire career prepared me for my final unit in the Coast Guard: Commander Coast Guard Caribbean Squadron. I served as RMIC, CEA both ashore and afloat, and as Command duty officer from July 1990 to October 1993 while afloat. In that time I participated in 17 Staff deployments in U.S. Navy surface combatants. 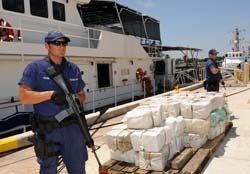 In those deployments I participated in the confiscation of nearly 17,000 pounds of cocaine and over 64,000 pounds of marijuana. Needless to say coordinating Communications nets between Coast Guard, Air Force and Navy assets when not everyone is on the same channel is challenging. However in this case the dedication was there and all participants did their best to excel in all facets of the operations. No single person accomplishes the activities of a group like this and this extensive in numbers of different types of personnel and units. I gained a special recognition of all the unique talents of the US Military Personnel and will never forget the close friendships developed across the decks of many Navy ships during this demanding time. I salute all my Military Brothers and Sisters and wish them all fair winds and following seas. I received the Coast Guard Commendation Medal for activities during my time with Commander Coast Guard Caribbean Squadron out of Miami, Fl. 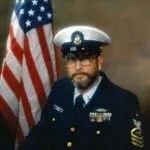 I received the Coast Guard Achievement Medal for superior performance of duty from August 84 through July 1987 as an Instructor and then Department Head at Coast Guard Training Center Petaluma in the Morse code department. Through realignment of weekly goals for students and other efforts the rephrase and attrition rates were dramatically reduced. 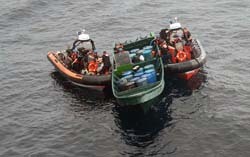 These efforts resulted in a tangible savings to the Coast Guard in an amount in excess of $250,000. A second Coast Guard Achievement Medal was awarded while stationed at Communication Station New Orleans. It was for performance as the Special Projects officer in the High Frequency Data Link Project Serving. I supervised the installation and operational testing at COMMSTA New Orleans, Greater Antilles Section and several 110′ cutters at Roosevelt Roads and Miami Fl., completing installations and testing successfully five days ahead of schedule. 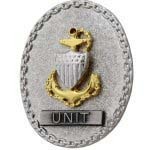 I believe the Unit Command Enlisted Advisor badge I received at my last unit means the most. It really gave me the chance to pay back all the enlisted people that worked with me through the mentoring I had received from my bosses through the years. 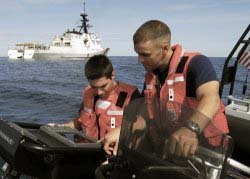 It is a true opportunity to see the strength of the Coast Guards Mentoring Program and a unique opportunity to see the successes of your fellow Coasties as they progress through their careers. So many individuals qualify for this statement that I find it difficult to just name one. Among those who had a positive impact on me were RM1 Windom, CWO4 Heinzen, LT Flowers, RM1 Craven, RMC Davis, RMC Smith (Snake Smitty), RMCM Greene, CWO4 Starr, Capt Carpenter, Capt Edwards, CDR Chiswell, Capt Wolff, MKMC Robertson, and too many the names have faded a bit but the memories are still there. 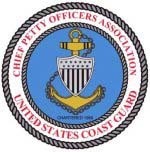 I consider at one time or the other each and every one of them as a mentor, a friend and a brother in the Coast Guard. Probably one of the funniest pieces of XXXX excuse me material was a parting message sent to me back at the beach on retirement day from the guys deployed from Caribbean squadron. I will just share the last Paragraph of the message for decency and brevities sake. ” Never before, or will again, has one man slept so little, drank so much coffee, smoked so many cigarettes and become so wired for his country!” We wish him well. I worked for several years at Home Depot as an Electrical Associate, and several years at Radio Shack as a Security Guard and later as the Night Shift LT. I drove the Airporter Bus for a while I worked as an electrical engineer for SFX Designs for a year. During all of this time I also operated a Beef Cattle Ranch first as a partner then as an owner. I am semi-retired with the Cattle Ranch now and loving life. 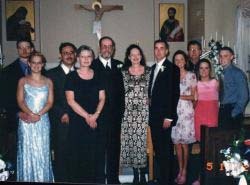 Retired in Nov 1993, returned to my old hometown of Weatherford, Texas and resumed operation of Pickard Ranch. I have worked for several companies large and small over the years: Home Depot as Electrical Associate, Radio Shack as third shift Security LT Supervisor of shift, SFX Designs INC. (Special Effects) electrician, Ryder Inc., temp work Warehouse Forklift Operator, Suppershuttle Inc., Driver, did all of these as supplement to Retirement pay, then the Oil and Gas Industry took off, so now I am full time Rancher with Gas/Oil and Rock Crusher Royalties that blessed me with no future need to work for others for now. So I spend a lot of time with my volunteer work with the American Red Cross with Rusty my Wife. We are one of two Disaster Assessment Teams here in the Parker County Branch of the Chisholm Trail Chapter. We volunteer our time to respond 24/7 for two weeks each month and provide temporary assistance to people who suffer losses from fires or acts of nature. We ensure that funding is made available on an emergency basis for three days to assist clients with replacing Food, Shelter and Clothing and provide additional referrals to other disaster agencies and volunteer organizations for longer term assistance to families and individuals. Additionally, we donate blood to the Red Cross every five weeks and assist in the collection process. Other spare time activities include sponsoring a scholarship for the youth of Parker County Livestock Improvement Association which is a group my family has been involved in since 1947 when my father and other men from Parker County formed up this organization under the supervision of the Parker County Sheriff’s Posse Association. 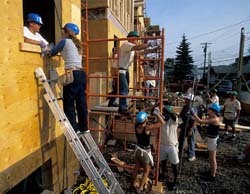 My wife and I are active members of Central Christian Church here in Weatherford Texas and provide volunteer time through the Church to Habitat for Humanity. Yes, I am busier now than when I worked full time for a living :-). Finally I am politically active as a supporter of Christian Conservative Principles and belong to Both the Republican and Tea Parties in this region. I miss the shipmates I developed friendships with over the years, because none are close to my landlocked residence, but always look forward to visits. I have been a member of the American Legion Terlingua Post for over 30 Years, and the Coast Guard CPOA Silver Life Membership. Both keep me in touch with comrades and the current state of affairs in all things military. I think the discipline of staying active and engaged has contributed to my physical and mental well-being. My strong faith in God, family and country keeps me relevant as does my desire to serve my fellow man. I owe in one form or the other my experiences from the Coast Guard for all my successes in these traits. Based on my experiences I see in your performances as demonstrated over the last few years a growth of the “can do” attitude that I experienced. You are constantly thrown new challenges on a daily basis and have answered the call. You have exhibited mission successes through due diligence to detail and Teamwork. Your successes have netted a deeper respect from your superiors, your mates and your families. Your sacrifices of time, energy, family and life do not go unnoticed and are respected by all Americans. You still have some pretty impressive reputations to live up too. I for one have no doubt all members will live up and surpass all expectations. Remember today is never like yesterday and will never be like tomorrow, be prepared for change and be “Semper Paratus” Always Ready. TogetherWeServed is a great platform for refreshing your memory of times gone by. What a great excitement to find old friends and share old sea stories. What a great platform to share our experiences.